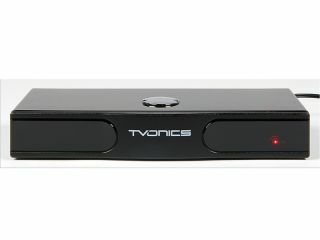 UK set top box specialist TVonics has announced its intention to release a Freeview HD box, insisting that the lateness to the party will be countered by a 'technically robust' and aesthetically different option. With a host of set-top boxes already offering Freeview HD – including versions from some major manufacturers, UK company TVonics is keen to remind people that it is planning a launch – although, unfortunately, it does not give any expected release date. "The HD market has been much anticipated, but TVonics is committed to delivering on its promises," said TVonics Andy Carr. "When we launch the new HD boxes to the market via our retail network and online they will be technically robust, aesthetically unlike any other digital set top box on the market and will provide consumers the best way to watch Freeview HD on an HD Ready TV," he added. "Our range of HD products will ensure that consumers are easily able to view Freeview HD with high quality surround sound, by simply connecting the box to the HD Ready TV - delivering a user experience we believe is superior to other boxes in the market place." So all we need now is an actual product.